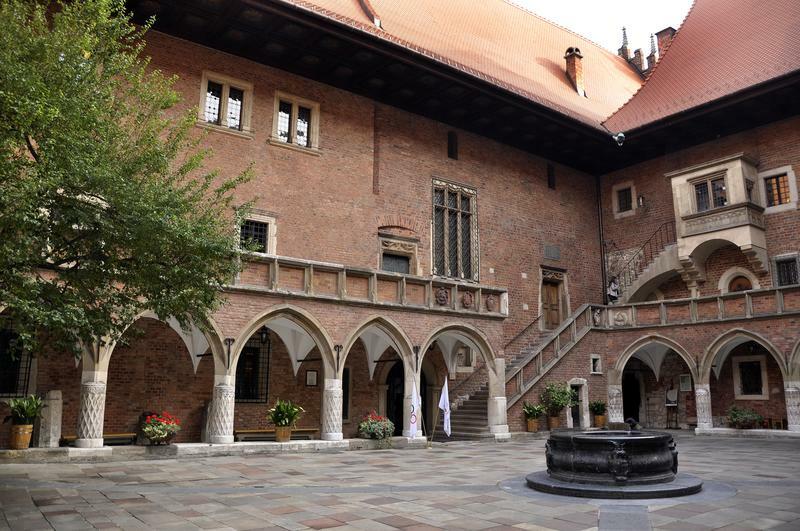 Jagiellonian University Museum is located in University’s oldest building – Collegium Maius. 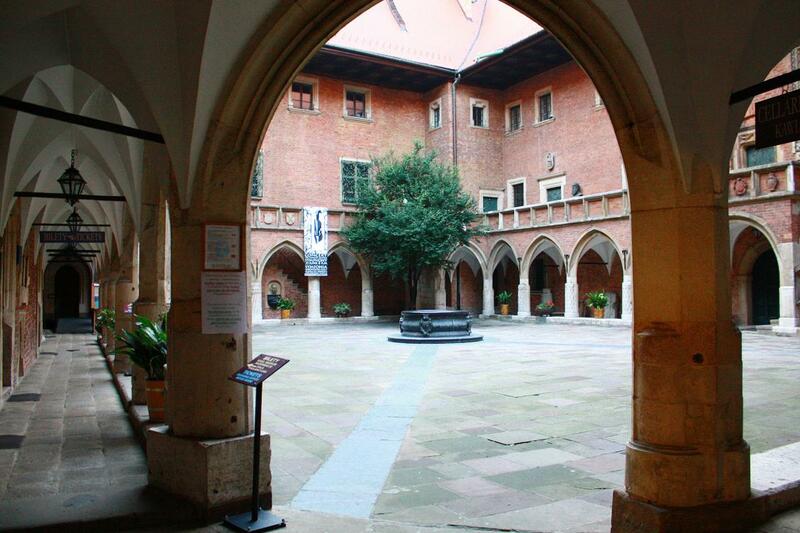 Jagiellonian University was founded in 1364 by king Casimir III the Great. Initially, it did not have a headquarters and lectures were probably held in the Wawel Castle. In 1400, king Wladyslaw II Jagiello purchased a building at the corner of St. Anne and Jagiellonska Streets. It was possible due to a large contribution of the recently late queen, Jadwiga, who donated all of her personal valuables for further development of the University. The original building was too small to accommodate the growing circle of students and scholars. In the course of the 15th century, Collegium Maius had been rebuilt and enlarged. The new premises were built in late-Gothic and around the arcaded courtyard. Beautiful cloisters, adorned with a rib-vault ceiling, are preserved until this day. The line of cloisters was interspersed with the stairs called “professorial”, that lead to the porch on the first floor. Lecture halls were located on the ground floor. They were long, low-vaulted, dark and often damp. Library, Professors’ Common Room, Treasury and Theologians lecture room, all occupied the first floor. Professors’ apartments were located on the first and second floor. The courtyard of Collegium Maius is now the best-known part of the building, and in fact, of the entire University. It had seen several refurbishments since the 15th century, but the overall shape remained Gothic in style. On one of the walls in the courtyard, a clock was installed in the mid-15th century. Today’s clock varies from the original one but still resembles it. Every day, at 9. a.m, 11 a.m., 1 p.m., 3 p.m. and 5 p. m., a procession of little sculptures of people notable in the University’s history is set, accompanied by an instrumental version of the academic song “Gaudeamus Igitur“. 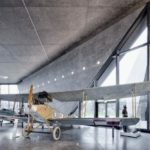 Plans to establish a museum dedicated to the history of the Jagiellonian University were first made in the 1860s. Around this time, the “Cabinet of Art and Archaeology” was created. Under the Austrian rule (a result of the partitions of Poland), authorities of the Jagiellonian University were not allowed to create a museum, but using of the term >cabinet< was politically correct. The Cabinet was eagerly visited by students, but also by guests from abroad. The core of it was, of course, the equipment kept in the Collegium Maius for ages. The collection began to grow thanks to numerous donations of many valuable monuments. Collegium Maius was officially turned into a museum in 1947. 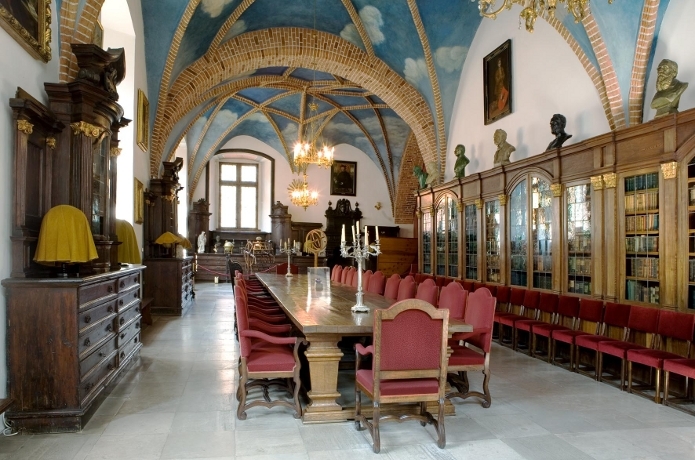 Up to 1940, Collegium Maius housed the library of the Jagiellonian University. 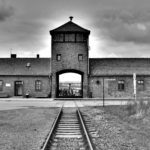 All of its precious collections were moved to the new headquarters, erected just in time before the outbreak of World War II. Today, one of the most beautiful rooms in the Jagiellonian University Museum is indeed, the old Library. A characteristic feature of its interior is the late-Gothic vault. The walls are decorated with portraits of people who once contributed to the development of the Jagiellonian Library and the Museum. The collection comprises of 20th-century reconstructions of Nicolaus Copernicus’ astronomical instruments, book collection from the 17th-19th century, 19th-century reading wheel, and other books and equipment that is a testament of how the learning process at the university looked like. Professors’ Common Room (Stuba Communis) was used for meals, discussions and celebratory gatherings. Today’s interior closely resembles that of the past centuries, with three tables in the middle in a horseshoe shape. 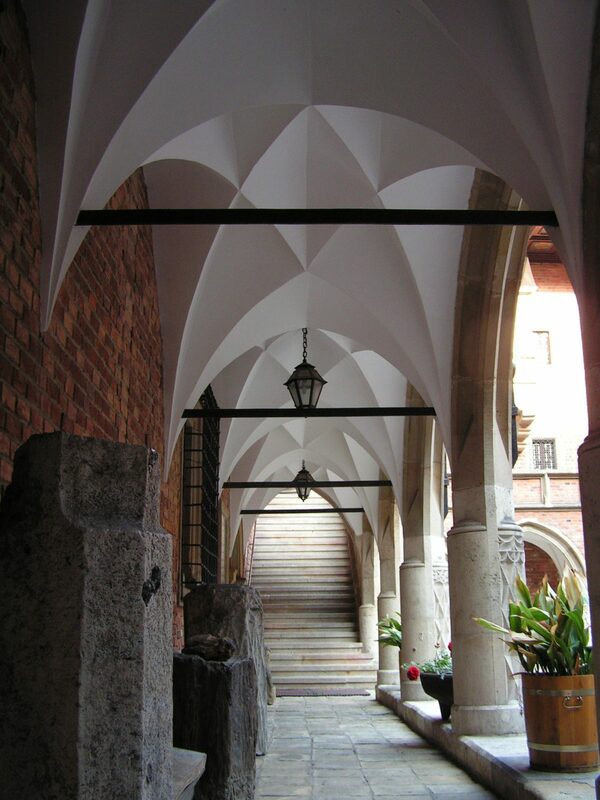 Behind them, there is an elaborate early-18th-century staircase, made in Gdansk. The room is lit with an oriel window, that now contains a polychrome sculpture of king Casimir III the Great, dating back to circa 1380. The most valuable objects in the Museum’s collection are kept in the Treasury. It is situated in two vaults. In the first vault of the Treasury, rector’s insignia are displayed. But the showpiece of this display is the so-called Jagiellonian globe, considered to be the oldest existing globe to show the Americas, dating back to circa 1510. The second vault houses various objects, from tableware and ceramic art to keepsakes of people connected with the University. Also, there are several memorabilia, such as the Nobel Prize Medal bequeathed by Wislawa Szymborska and movie awards of Andrzej Wajda. 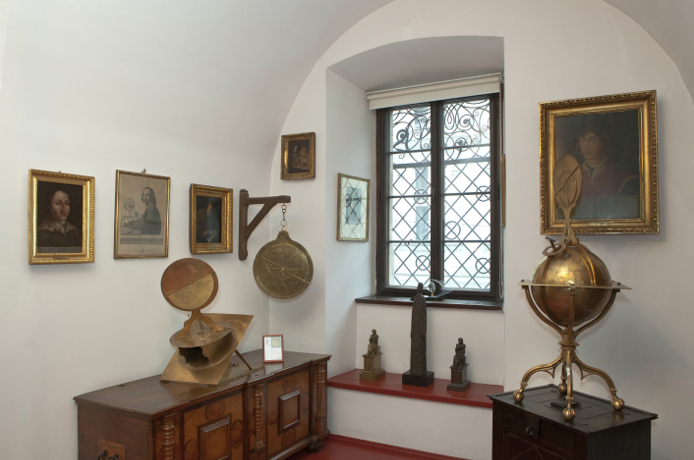 Copernicus Room is an exhibition space dedicated entirely to the man who revolutionised European ideas about the universe. Nicolaus Copernicus studied at the Jagiellonian University between 1491 and 1495. He did not live in the Collegium Maius, as he could afford a lodging in the city. It is not known, however, where Copernicus used to live. In the Copernicus Room, many valuable objects that he used during his studies are displayed, such as the Arabic astrolabe from 1054, set of three astronomic instruments: a torquetum (1480), an astrolabe (1486), a celestial globe with astrolabe (1480), facsimile of the De revolutionibus orbium celestum manuscript. 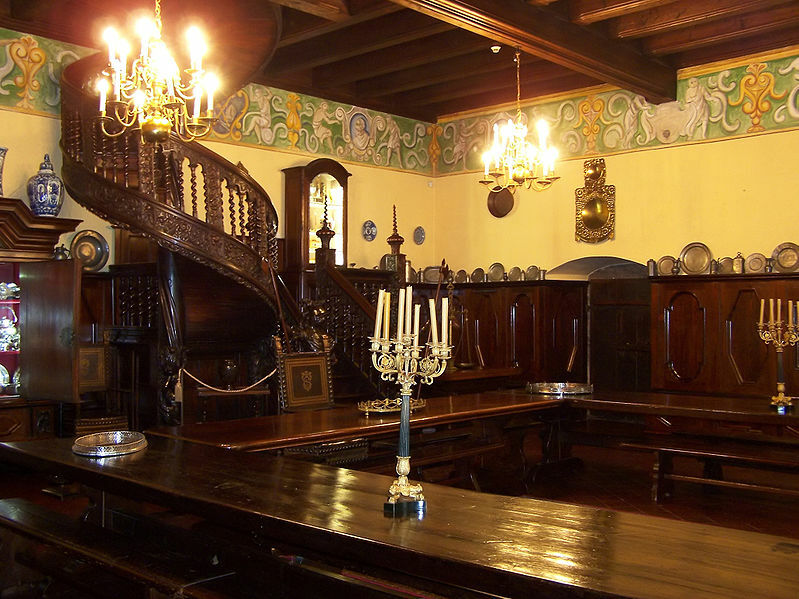 The once theologians lecture room is located in the oldest part of the Collegium Maius, the only preserved part of the original house bought in 1400 by king Wladyslaw II Jagiello. 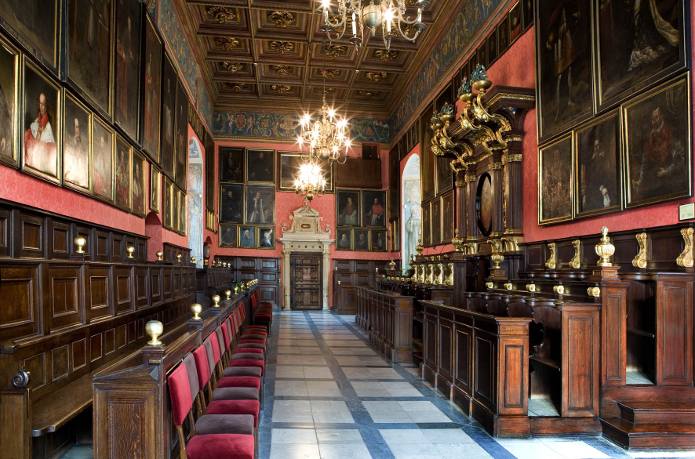 For centuries, theology lectures were given in this room, that now serves as the place for tenure ceremonies and conferring of the honoris causa, inaugurations of international conferences, and other stately events. Walls are adorned with portraits of Polish kings, bishops of Krakow, rectors and professors of the University (16th-20th centuries). As an entrance to the Auditorium serves a 16th-century portal, that originally was placed in the Town Hall on the Krakow Main Square. It was relocated to Collegium Maius when buildings of the Town Hall were demolished. Monday, Wednesday, Friday 10 a.m. – 2:40 p.m. 10 a.m. – 2:40 p.m.
Tuesday, Thursday 10 a.m. – 5:20 p.m. (last entrance) 10 a.m. – 2:40 p.m.
Saturday 10 a.m. – 1:30 p.m. 10 a.m. – 1:30 p.m.
** Entrance to the courtyard – every day till dawn. * Booking tickets in advance is advisable.